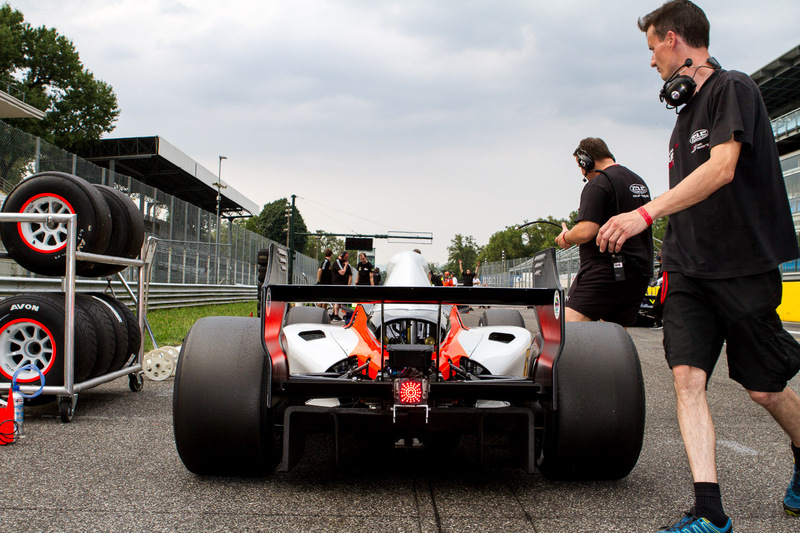 Following his successful BOSS GP debut at Monza with two podiums and an equally fast, but unlucky display in Assen, Von Grünigen will be back in the series with Zele Racing for the Czech Super Prix in Brno next weekend. The 25-year-old Swiss driver, who is competing with a Czech license, will drive the Austrian outfit’s AutoGP Lola B05/52 V8 with 550HP at the Masaryk Circuit on September 10/11 and is hopeful to add more points to his tally. Two years ago, Von Grünigen became the first Swiss driver in AutoGP history making his debut with Zele Racing. Now the team from Bleiburg, Carinthia, has enabled him a rookie season in BOSS GP. “We have been working successfully with Christof in the past and his performances in Monza and Assen were good. Therefore, we are happy to have him back on board for Brno”, team boss Michael Zele commented. The BOSS GP Series is a big open single seater championship where drivers compete in two different classes – the ‘OPEN’ class for Formula 1, Champ Cars and IndyCars, and the ‘FORMULA’ class for GP2, World Series by Renault, Superleague Formula and AutoGP cars – for Silverware.